With page 5, we’re nearing the end of the phase diagram adventure. This page explains open element phase diagrams in what I think is an intuitive (and perhaps new) way. 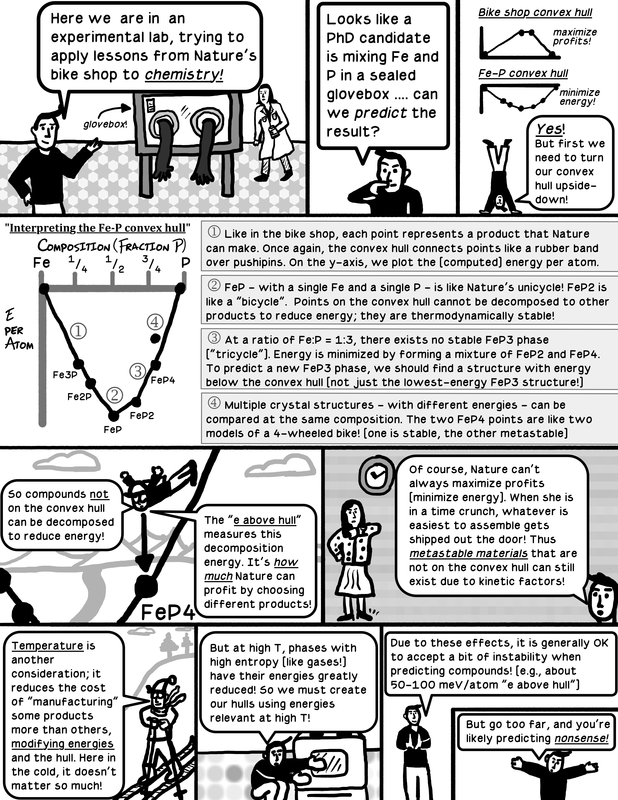 Stay tuned for the next post, which will contain the full phase diagram comic (including the final page) and bring the journey to an end! “Thermal stabilities of delithiated olivine MPO4 (M = Fe, Mn) cathodes investigated using first principles calculations” by Ong et al. If Li ion battery cathode materials (generally oxygen-containing compounds) release O2 gas from their lattice, it can lead to runaway electrolyte reactions that cause fire. 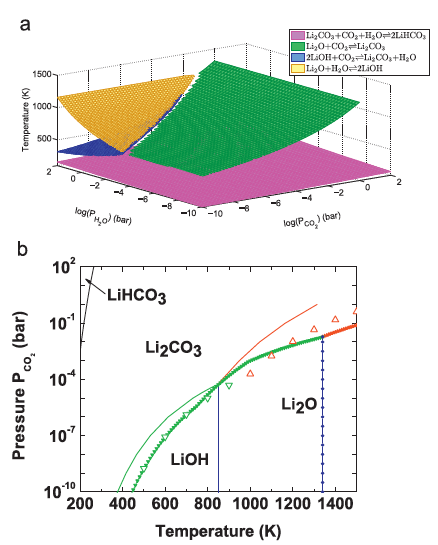 Thus, a safe cathode material resists O2 release even under extreme conditions. Stated another way, safety is the “price point” (inverse O2 chemical potential) at which a cathode material will give up its oxygen. The higher the price point, the more stable the compound. 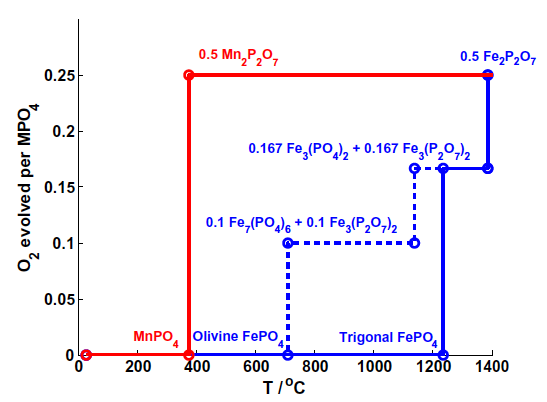 This paper compares the critical chemical potential for O2 release between MnPO4 and FePO4 cathode materials, finding that similar chemistry and structure doesn’t necessarily imply similar safety. “CO2 capture properties of M–C–O–H (M.Li, Na, K) systems: A combined density functional theory and lattice phonon dynamics study” by Duan et al. The CO2 capture problem is to find a compound that absorbs CO2 from an open environment at chemical potentials found in industrial processes, and then releases the CO2 back into some other open environment under sequestration conditions. This paper constructs multi-dimensional phase diagrams to predict how different chemical systems will react with CO2 under different conditions. After a couple of pages of preliminaries, we are finally ready to discuss some materials science! 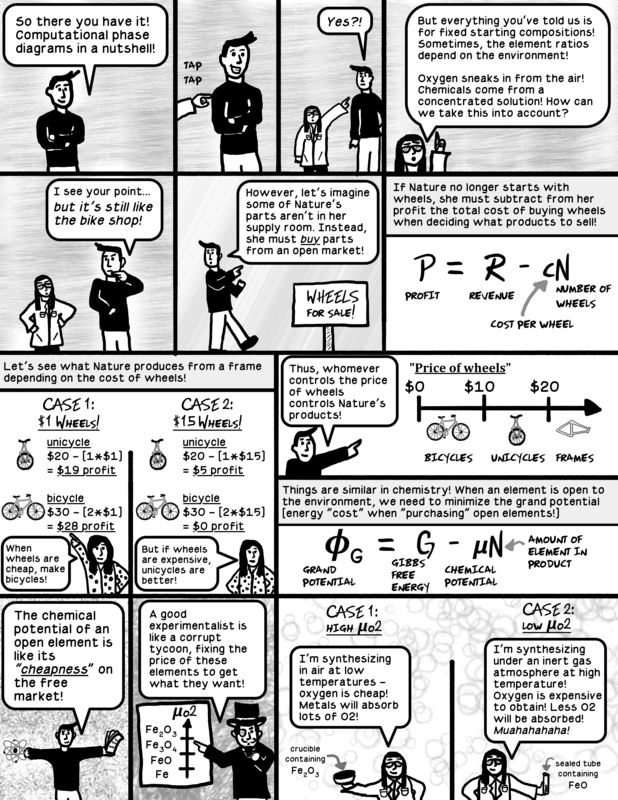 Whereas page 2 employed convex hulls to maximize profits in a hypothetical bike shop, page 3 applies the same formalism to determine thermodynamic stability and demonstrate how chemical compounds can decompose to minimize energy. And the adventure is far from over! In fact, next time we’ll add a whole new dimension to our analysis! For now, be sure to check out “Further Resources” below the comic for more information. “Accuracy of ab initio methods in predicting the crystal structures of metals: A review of 80 binary alloys” by Curtarolo et al. This (somewhat epic!) paper contains data for 80 binary convex hulls computed with density functional theory. The results are compared with known experimental data and it is determined that the degree of agreement between computational and experimental methods is between 90-97%. 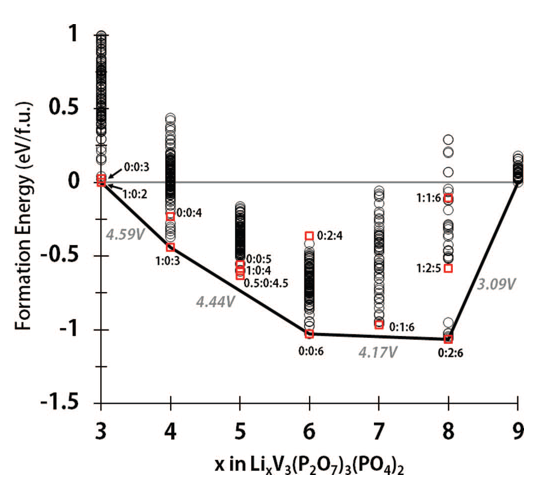 “A Computational Investigation of Li9M3(P2O7)3(PO4)2 (M = V, Mo) as Cathodes for Li Ion Batteries” by Jain et al. The endpoints of a binary convex hull need not be elements. 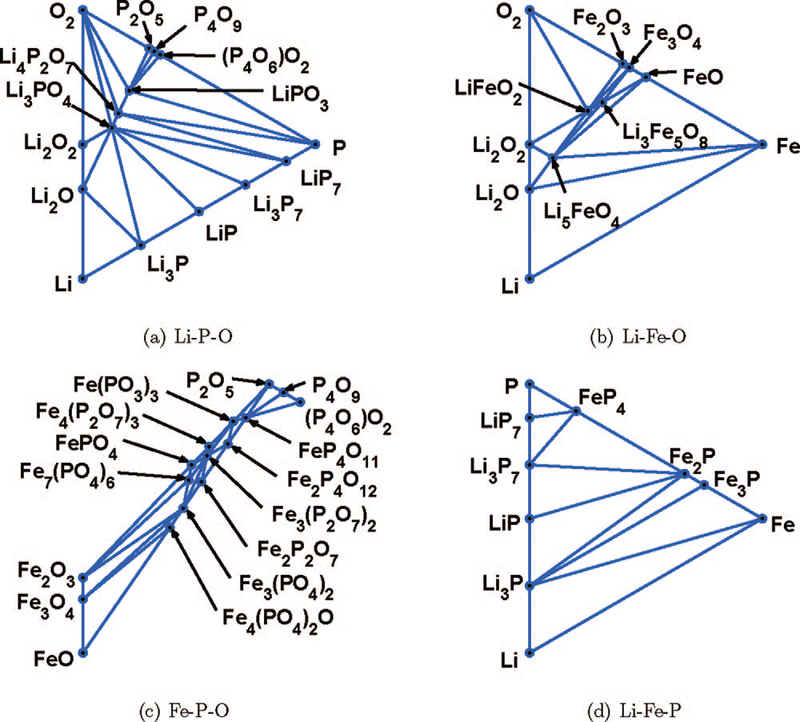 For example, in the Li ion battery field one often searches for stable intermediate phases that form at certain compositions as lithium is inserted into a framework structure. The paper above is just one example of many computational Li ion battery papers that use such “pseudo-binary” convex hulls. 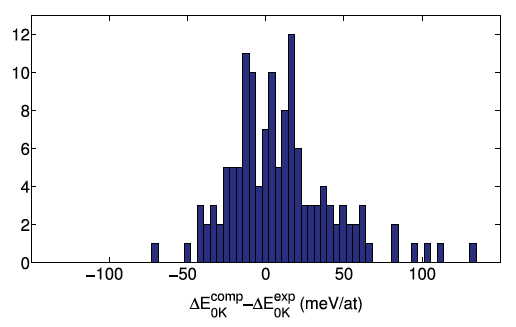 “Configurational Electronic Entropy and the Phase Diagram of Mixed-Valence Oxides: The Case of LixFePO4” by Zhou et al. Incorporating temperature into first-principles convex hulls is often possible, but not always straightforward or easy to do. Here is one example of this process that focuses on electronic entropy. The Materials Project phase diagram app allows one to construct interactive binary convex hulls for any system by employing computed data on tens of thousands of compounds. 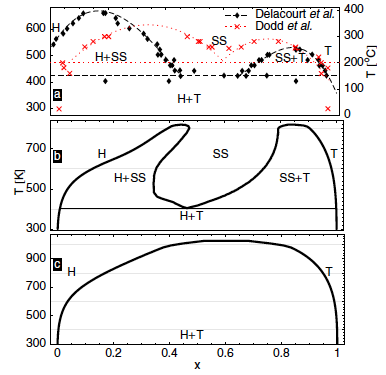 You can also create phase stability diagrams for ternaries and higher! 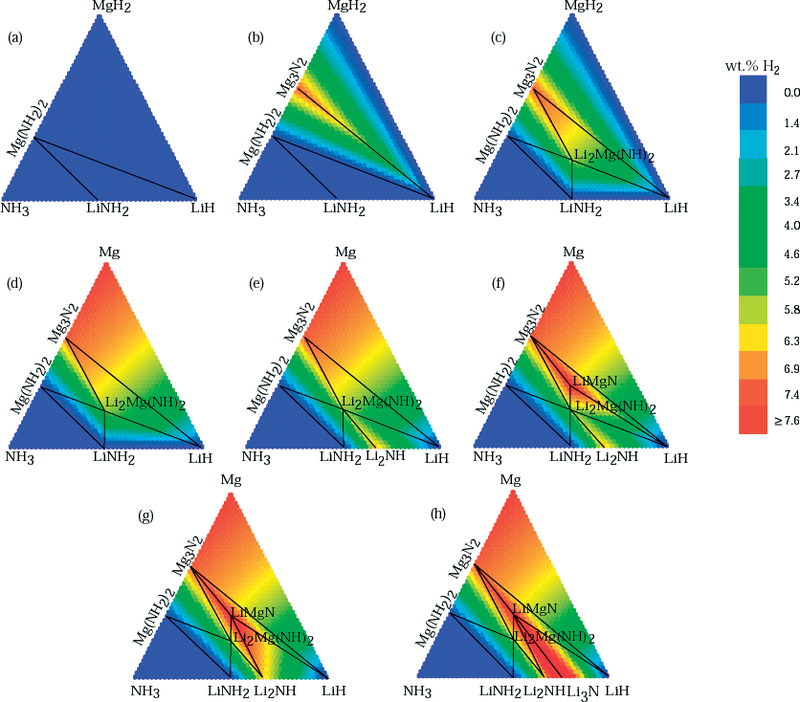 One of the more powerful tools in materials screening is the computational phase stability diagram. Unfortunately, it is only utilized by a few research groups, and I thought that a comic book about them might improve the situation. The project is taking a bit longer than expected…so I am releasing the comic page-by-page, with the first page below. This page is just an introduction; there will be about 5 more pages that fill in more details, with one post per page. 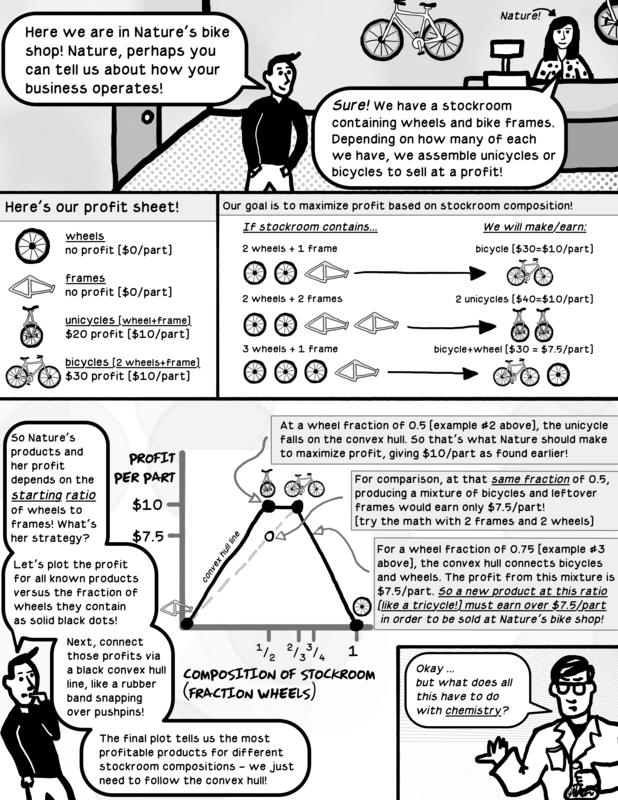 The final post will provide the full comic as a PDF and will include an article with more details. So without further ado – page 1! Will computers imagine the materials of the future? As a species, we are particularly proud of our capacity for creative thought. Our ability to invent tools and imagine abstract concepts distinguishes us from other animals and from modern day computers (for example, the Turing Test is essentially a clever form of a creativity test). However, in many cases, humans can now program computers to solve problems better than they can. In 1987, chess grandmaster Garry Kasparov’s proclaimed that “No computer can ever beat me”. The statement was perfectly reasonable at the time, but it would be proven wrong within a decade. Similar turning points in history won’t be limited to games. For a 2006 NASA mission that required an unconventional antenna design, the best-performing, somewhat alien-looking solution was not imagined by a human antenna design expert (of which NASA surely had plenty) but was instead evolved within a computer program. When mission parameters changed, a new design was re-evolved for the new specifications much more rapidly than could be achieved by NASA staff. It is difficult to say whether current achievements by computers truly constitute “creativity” or “imagination”. However, the philosophical ambiguity has not stopped materials researchers from joining in on the action. As one example, Professor Artem Oganov’s lab at Stony Brook University has used computer programs to evolve new materials that have been observed at high pressures and might play a role in planet formation. These materials can be quite unexpected, such as a new high-pressure form of sodium that is transparent and insulating rather than silver and metallic. Thus, while we may not know whether to label the computer’s process as a “creative” one, the end result can certainly possess the hallmarks of purposeful design. Indeed, if there is any doubt that computer algorithms are capable of producing creative solutions, one needs only to visit the Boxcar2D site. This website uses evolutionary algorithms to design a two-dimensional car from scratch; the process unfolds before your eyes, in real time. 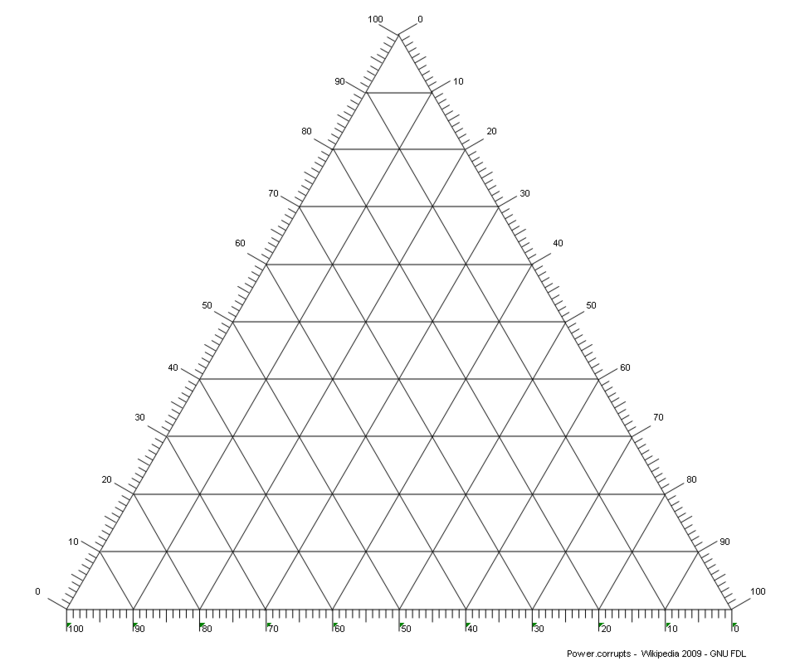 Cars designed by the Boxcar2D algorithm at various generations of the evolutionary algorithm. Seemingly arbitrary combinations of wheels and chassis at generation zero gradually and automatically become ordered and logical arrangements. It is instructive to observe the Boxcar2D algorithm “thinking”. Towards the beginning of the simulation, most designs are underwhelming, but a few work better than you’d intuit. For example, my simulation included a one-wheeler that employed an awkward chassis protrusion as a brake that modulated speed during downhill sections. It was a subtle strategy that outperformed a more classic motorbike design that wiped out on a mild slope. Eventually, the one-wheelers would prove too cautious, and the algorithm began designing faster two-wheelers that better matched the size between the wheels and the proportions of the frame to prevent flipping. Finally, the algorithm designed a car that was symmetric to being turned upside down, eliminating the problem altogether. All this happened in the course of minutes in a somewhat hypnotic visual progression from random to ordered. 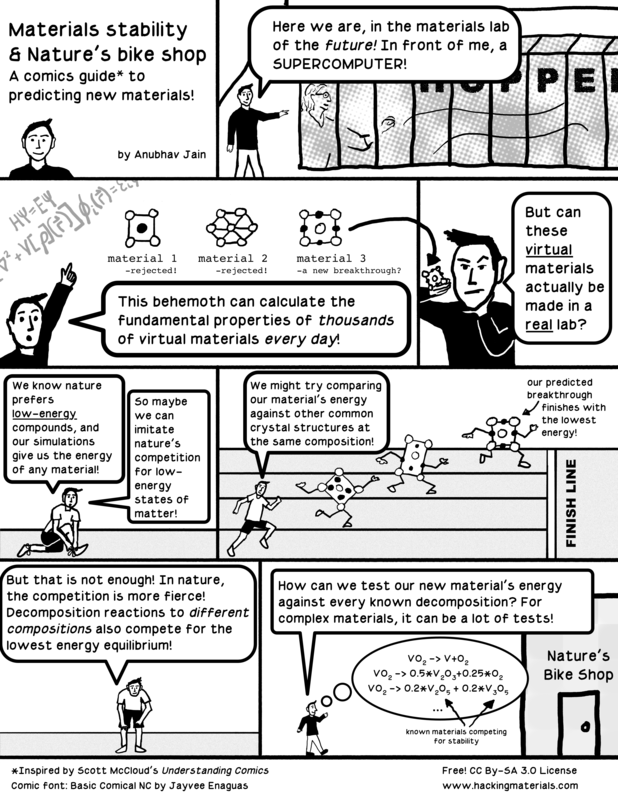 However, despite the successes in computational optimization, several obstacles still exist that prevent future materials from being designed by computers. The biggest problem is that computers cannot yet predict all the important properties of a material accurately or automatically. In many cases, computational theory can only predict a few heuristic indicators of less than half the important technological properties of a material. Thus, materials that look promising to the computer are incomplete models that require further evaluation and perhaps re-ranking by human experts. Indeed, the most successful automatic algorithms have been those used for crystal structure prediction (such as the research of Professor Oganov), for which simple computer calculations are very good at ranking different compounds without adult supervision. Will we train computers to imagine materials for us? [Crystal structure based on a CuI structure predicted by the USPEX code]. There are other problems; for example, genetic algorithms typically require many more calculations to find a good solution compared with human-generated guesses. However, this “problem” may also be an advantage. The computer’s willingness to produce several rounds of very poor-performing, uninhibited designs frees it from the bias and conservatism that can be displayed by human researchers, thereby revealing better solutions in the long run. Still, helping the computer become a smarter and more informed guesser would certainly improve the prospects for designing materials in computers. Today, almost all materials are still devised by humans within a feedback loop of hypothesis and experiment. The next step might be to mix human and machine – that is, to use human intuition to suggest compounds that are further refined by a computer. 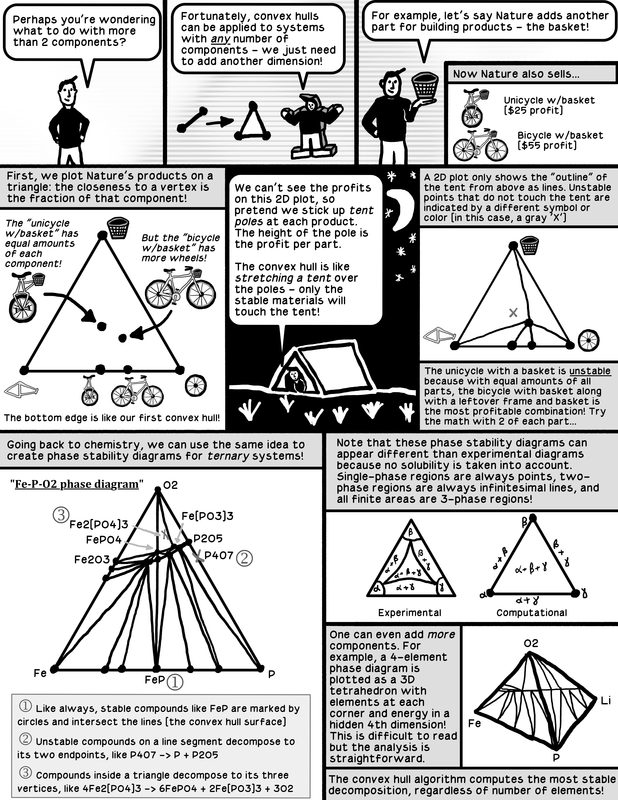 Yet, perhaps one day, materials design may become more like chess or antenna design. Like parents of a gifted child, it might become more logical for materials scientists to train their computers to be more imaginative than them. 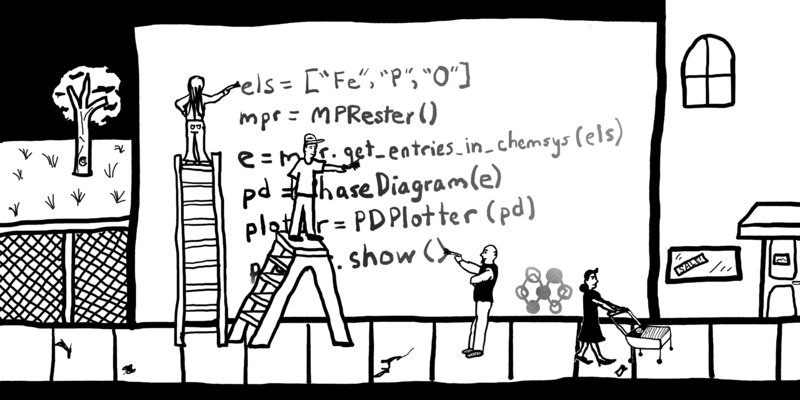 A nice illustrated history of artificial intelligence in games was presented by XKCD. More about NASA’s evolved antenna design here. Attempt to evolve cars from randomness at the Boxcar2D site. 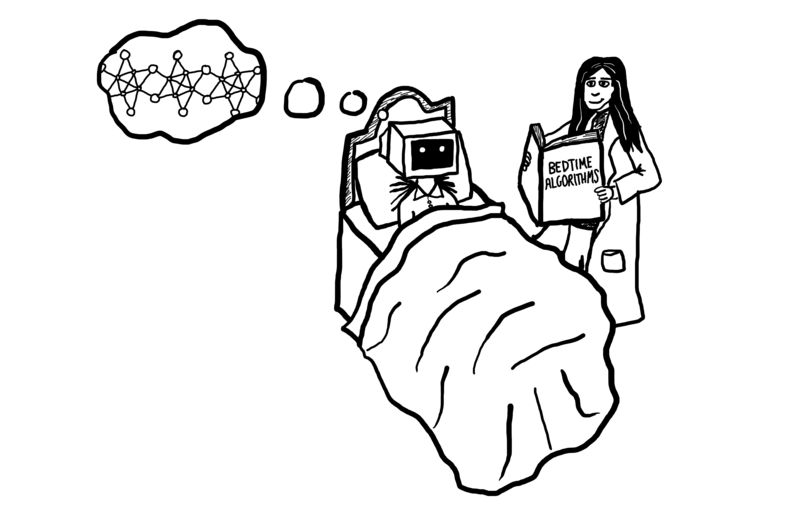 For example, my colleagues (with minor help from myself) devised data-driven algorithms for materials prediction that more closely mimic a first step undertaken by many researchers (links here and here). These algorithms are more efficient at finding new materials but are much less “creative” than the evolutionary algorithms employed by Professor Oganov and others.